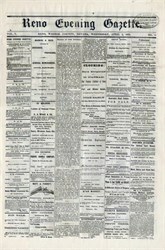 The Reno Gazette-Journal was founded on Nov. 23, 1870 as a weekly called the Nevada State Journal. 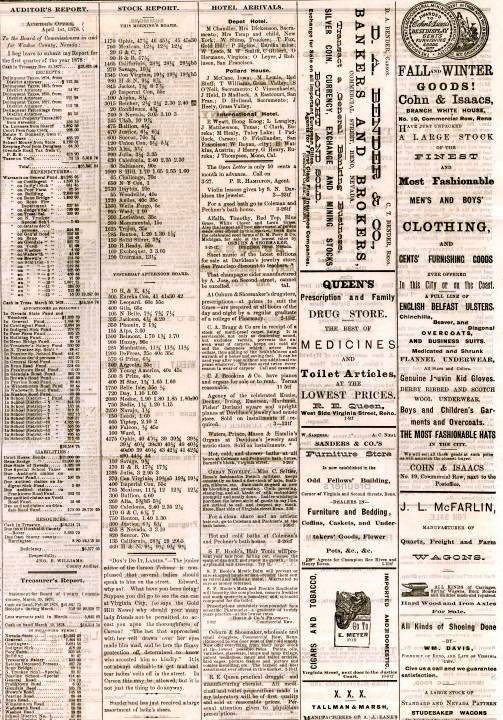 The first Reno Evening Gazette was published on Oct. 12, 1876, and served as "Nevada's daily gem" for the next 107 years. Gannett merged with Speidel, which included the two newspapers, in 1977, and merged the two newspapers into the Reno Gazette-Journal on Oct. 1, 1983. Noteworthy honors include covering the Olympics in nearby Squaw Valley in 1960, and a Pulitzer Prize in 1976. In the newspaper's lifetime it has never missed an issue, despite the challenges of a plant fire, power failure and press breakdown; surviving 20 ownership changes; 11 moves to new printing sites; a strike in 1959; and seven 20th century floods, the latest occurring in 1997. The Reno Gazette-Journal is the main daily newspaper for Reno, Nevada. It came into being when the Nevada State Journal and the Reno Evening Gazette were combined in 1983. It is owned by the Gannett Company, publisher of USA Today. The Reno Gazette-Journal is one of two dailies (the other being the Sparks Tribune) covering the Reno-Sparks metropolitan area, which is also served by the Reno News & Review, an alternative newsweekly.